Teams are the basic structure of how projects, activities and tasks are being organised and managed within companies - recruitment ads are now routinely calling for “team players”. Working in teams provides many advantages to businesses, including the diversity of knowledge, ideas and tools contributed by team members, and the camaraderie among members. “A team is more than just a group of people who happen to work together. It is a group of people working towards common goals and objectives and sharing responsibility for the outcomes”. A new report by Deloitte, “Global Human Capital Trends” (based on a survey of more than 7,000 executives in over 130 countries) suggests that the fashion for teamwork has reached a new high. Almost half of those surveyed said their companies were either in the middle of restructuring or about to embark on it; and for the most part, restructuring meant putting more emphasis on teams. Unfortunately, team-building skills are in short supply. Deloitte reports that only 12% of the executives they contacted feel they understand the way people work together in networks and only 21% feel confident in their ability to build cross-functional teams. High-performing teams provide companies with an undeniable advantage over their competitors. 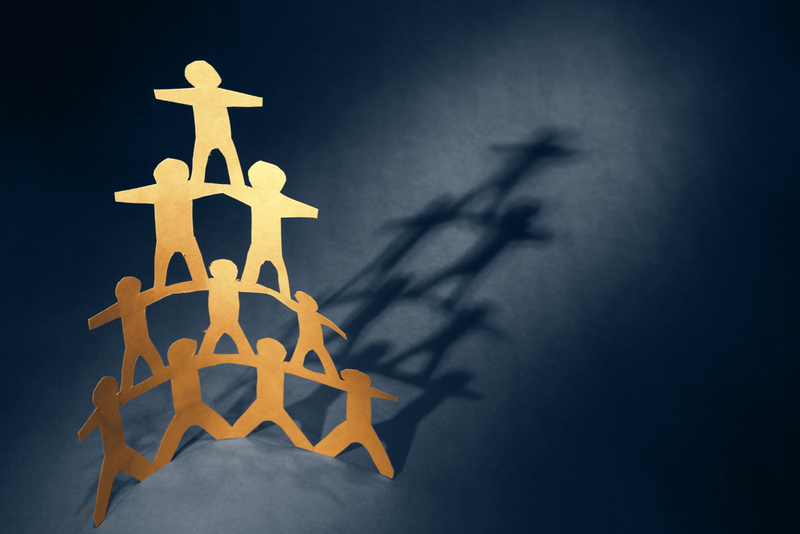 Teams have therefore become the basic building-blocks of organisations. So, what are the secret ingredients to high performing teams? A key characteristic seen in high-performance teams is cohesiveness - where those in highly cohesive teams will be more cooperative and effective in achieving the goals they set for themselves. The New York Times reported that at the start of 2016, Google announced that it had discovered the secret ingredients for the perfect team. After years of analysing interviews and data from more than 100 teams, it found that the drivers of effective team performance are the group’s average level of emotional intelligence and a high degree of communication between members. It is clear that teams are critical in driving organisational success. However, developing and leading high-performance teams is one of the most complex tasks facing any leader in the current competitive work environment. Some managers just don’t recognise how profound the differences between their people are; others don’t know how to manage group tensions or understand the costs of not doing so. As a result, some of the best ideas go unheard or unrealised, and performance suffers. The ability to manage emotions is the key to building a team. Leaders must possess the ability to get team members inspired. They also need to understand how team cohesiveness works and how bonding in a team will build energy. Leaders must inspire team members through reinforcing the sense of belonging, empathy in bonding and mutual respect, in addition to giving people choice and power over what they can do. Once that sense of support is created, the result is limitless creativity and effectiveness. By formulating your own GBS Flexi-Day you can create your own training programme around developing and managing high performing teams. You can combine up to three 90-min classroom-based modules to create a full day of training. For example, in our ‘high performing teams module’ you will learn about Bruce Tuckman’s stages of team development, or insights from ‘The Wisdom of Teams’. Team building begins with the effective selection and grouping of team members. You will learn about the encouragement of good working relationships and practices, which enable the team to steer and develop their work and reach their goals.